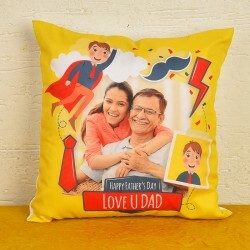 Send lovely gifts online to Ahmedabad to your dad as a token of your love and appreciation of him and make Father's Day a memorable one. When you have us by your side, you'll never get out of options indeed. Order now and make it extra special for him. 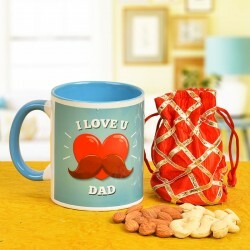 Astound your loving dad with a Father's day gifts Ahmedabad online delivery. He deserves to be celebrated because he was the one who made each moment of your life happy, secured, and fun just by his presence. 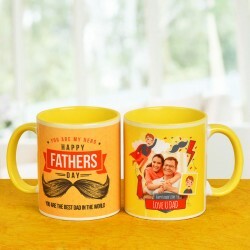 Avail Father's Day gifts delivery to Ahmedabad and fill him with immense joy and pride. Our stunning selection of new and innovative products will surely hook you for your gifting needs. A thoughtful gift chosen from this amazing collection is likely to enhance your bonding with your beloved dad. 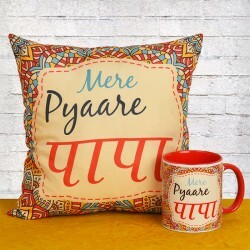 Our personalized gifts will impress your father and strengthen your bonding with him as you do with your mother. Do not let your father feel neglected on the special occasion of Father's day 2018. Our busy work schedules hardly spare us any time to visit several gift stores in person and choose a gift for our loved ones. Now you can easily leave your worries to us. 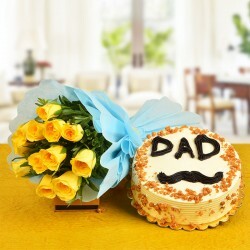 With MyFlowerTree website just a few clicks away, shopping for a Father's Day gift is much easier than it sounds. 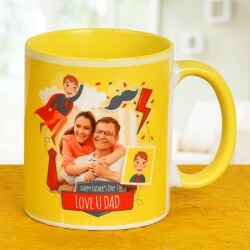 We specialize in Father's day gifts to Ahmedabad. We realize the how gifting varies a great degree from women to men. 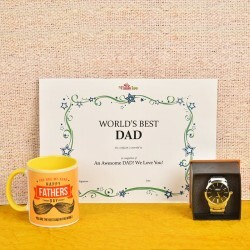 Our Father's day gifts Ahmedabad section offers an interesting choice of occasion centric gift ideas. You can easily browse through our range of Father's day gifts. Our amazing collection houses personalized options like photo mugs and to generic masculine gifts like Men's grooming kits. 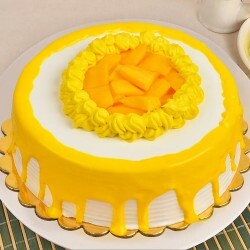 Our luscious and creamy cakes, cookies and chocolates are a treat for any sweet tooth there is. Pick fresh flowers bouquets or table settings to liven up your Father's surroundings. Useful gifting is a thing with Father's day frames & clocks and desktop accessories in stock on our website. 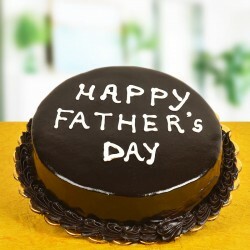 Sending out Father's Day gift hampers to your dad, is going to add to the celebrations many folds. 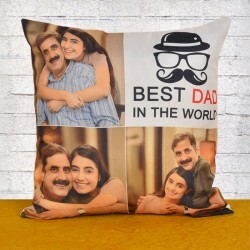 We offer father's day gifts at a reasonable prices when you compare us with other gifting vendors online. For our customer's convenience, we offer a range of delivery options including midnight delivery, same day delivery and regular delivery. 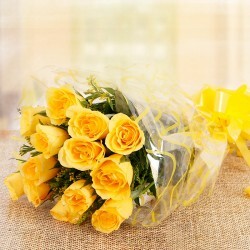 Our gift and flower delivery services are available Pan India and internationally. 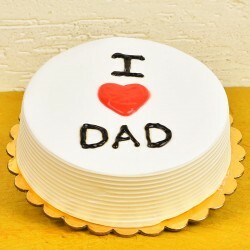 We thus ensure you never miss out on an opportunity to make your father feel special, no matter where he is. 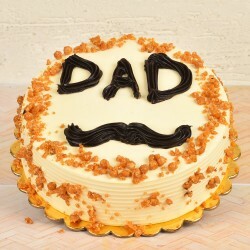 Slash down the physical distance between yourself and your father with our gift delivery services. We cover all areas in and around Ahmedabad city including localities like Bapunagar, Ambawadi, Changodar,Asarwa, Bardolpura, Amraiwadi, CTM, Aslali and Bodakdev. We witness a large sum of repeat customer, because of our impeccable service. 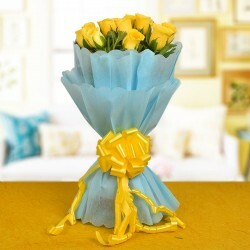 We take care that all gifts you have ordered reach your father is intact shape and in time. With our dedication to our customers, we have been successful in offering quality merchandise at affordable prices, all delivered in time to your loved ones.